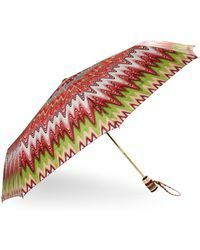 Luxury Italian label Missoni specializes in all things sophisticated and chic. 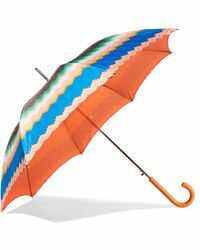 Established in 1953 by Ottavio Missoni and his wife Rosita, the brand started out as a small knitwear workshop before launching its first womenswear line in 1958. 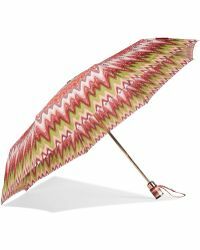 The Missoni umbrellas collection combines expert craftsmanship and impeccable attention detail. 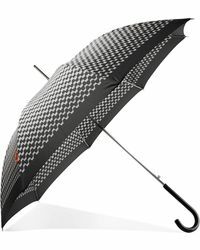 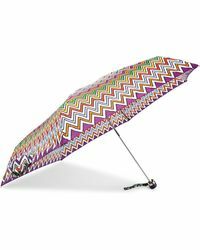 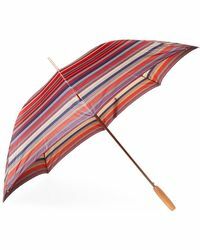 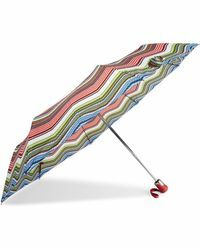 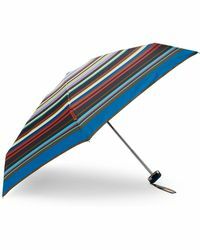 Each one features a lacquered wooden handle and opens out to reveal Missoni's trademark zigzag pattern, so you can stay dry in style.